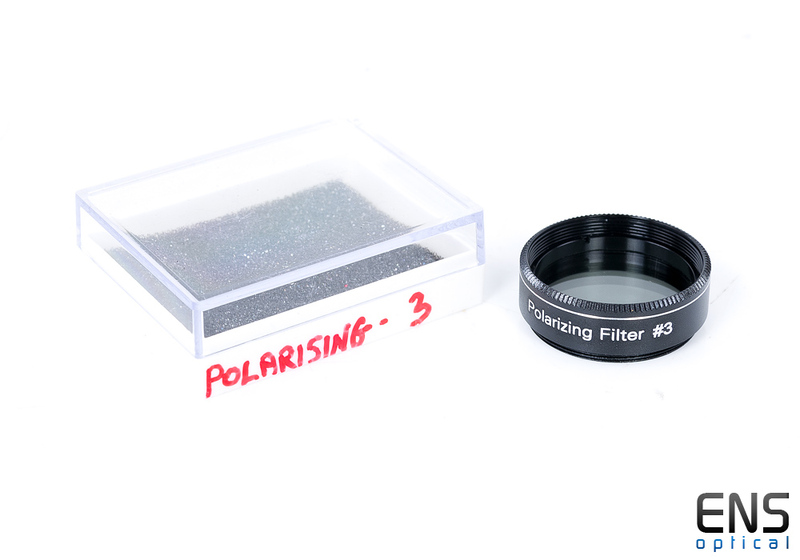 Home » Polarizing Filter #3 1.25"
Fits 1.25" eyepieces that have a standard 1.25" filter thread. Polarizing Filters are made from renowned Schott- Hoya optical glass and allow for maximum contrast of lunar detail. Individually precision ground, highly polished with maximum light transmission coatings on both sides, these filters are 100% guaranteed for life. 1.25" Variable Polarizing Filter is the all-phase lunar filter for large telescopes.